Photo courtesy of Scott Russell. Four racist murals hung at St. Paul City Hall are at the center of a countywide kerfuffle going as far back as the 1970s and now re-emerging as part of the national debate about the place of public art. They were first installed in 1931, shared originally by the Ramsey County Commission and the St. Paul City Council. The murals each depict St. Paul’s development through industrialization, with central white male figures and obsequious people of color. A meeting was held earlier in January of this year, where many residents, along with city officials, contested the future of these murals. The Ramsey County Historical Society has since begun forming a task force to, ultimately, replace these images. Read the full story at The Circle News. Joan Gabel made history in the University of Minnesota’s 167 years of male leadership, when the Board of Regents confirmed her as the university’s first woman president last December. But her appointment is one of many others in the state, nearly half of which, among Minnesota’s private colleges, are also held by women. To learn more, read MinnPost. A collaboration between the Bryant, Central and Lyndale neighborhood associations have invested nearly $50,000 in a project that founded the publication, Voces de South Central. It will bring about 7,400 newspapers to residents in each association’s respective neighborhoods. 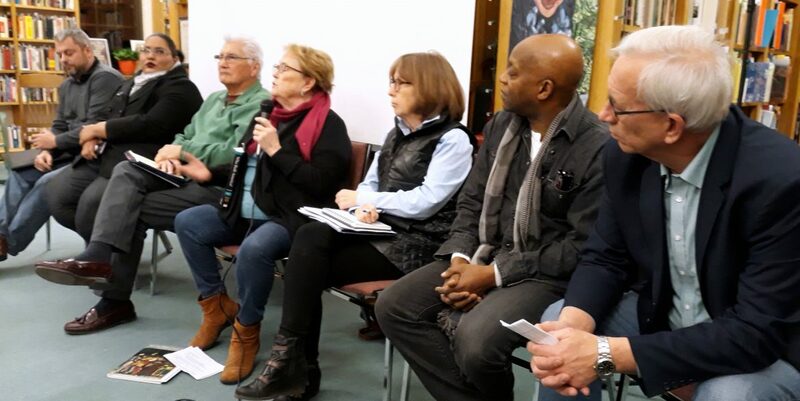 Their efforts are part of ongoing neighborhood work that, in recent times, have seen a reduction in funding but remain a constitutive organizing force at the local level. The newspaper, for many, not only provides the platform for sharing resources, but will also amplify voices of color, unlike traditional media. Read more about it at Southwest Journal.